In the late 1800’s the historic town of Cripple Creek, Colorado attracted tens of thousands of gold-seekers to its hillsides in search of their fortunes. The Gold Rush is part of ripple Creek’s colorful history and so is our Moonshine. In the late 1870’s Rocky Mountain Sippin’ Hooch was born in the hills outside of Cripple Creek, CO. By the mid 1920’s our Sippin’ Hooch was well known as the best shine around. The demand became so great that Grandpa Linneman souped up the engine in his old Model A Ford and became one of the first bootleggers of this legendary shine during the great depression. Four generations later, we still make our premium spirits just as they were back then, Handcrafted in small batches, distilled slowly at lower temperatures with Rocky Mountain “Sweet Water” that we get from our very own well, then filtered over and over again for unchallenged quality and a uniquely smooth taste. Our premium award winning spirits have been perfected over the years and our pride and passion shows in every bottle. There is nothing in life as satisfying as a good conversation, especially one on the rocks. Welcome to Axe and the Oak. A delicious, beautifully blended Colorado whiskey. 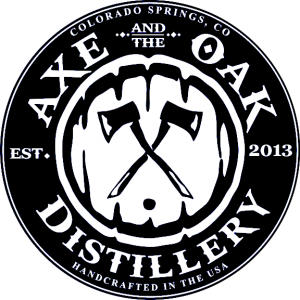 Axe and the Oak represents a bridge between the storied history of the spirit and the promise of new horizons. Our unique whiskey is distilled in the heart of Colorado Springs, Colorado from corn, malted rye, barley and pure Rocky Mountain water. Axe and the Oak, an instant tradition since 2013. Sharing stories on drink at a time. Art of the Spirits Whiskey is the only whiskey brand in the world that showcases world renowned artists and models on their limited edition whiskey packages. All of their whiskey releases are solely on a limited-edition basis. Art of the Spirits Whiskey is a Colorado-based business that is accredited, licensed, and a locally owned and operated company. Founder Richard Paul is a native to Denver, Colorado. For years, Richard has put his knowledge, ingenuity, skill, and passion into developing the brand and has years of experience working with world renowned artists, Danial James and David Uhl in Golden, Colorado. We make the best sippin’ moonshine this side of the Continental Divide. In fact, we think that Southern ‘Shine has nothing on us. Originally dubbed Colorado’s unofficial slogan in the 1870s, “300 days of Sunshine” encouraged frontiersman to head west. 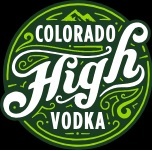 Our products are made in Colorado’s Rocky Mountain Front Range using methods that predate prohibition. 3 Hundred Days of Shine is a smooth moonshine infused with natural ingredients to create an experience that brings you back to a time when quality, craftsmanship and tradition were important.3 Hundred Days of Shine is the vision of six Colorado families. Our distiller, a retired Army EOD Veteran, produces these small batch recipes by hand. Bringing together the time-honored traditions of old with the technologies of today, we provide a western American moonshine experience you will remember for its full flavor and easy drinking. 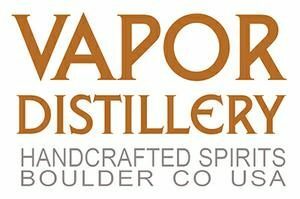 What makes Vapor Distillery a craft distillery? Each and every small, handcrafted batch of award winning spirits produced in our Boulder Colorado distillery is made by hand. We start with pure, local, Colorado Rocky Mountain water sourced from the Arapahoe Glacier, then add the finest, hand selected botanicals and ingredients specifically chosen for their high quality and taste. We faithfully follow our award-winning recipes that we have carefully and painstakingly developed, to reproduce the fine artisanal spirits that we have become known for. Why do we do this? Taste our spirits, and you’ll understand. Spirits Crafted From Organic Raw Blue Agave, Hand-Milled Grains, And Crisp Rocky Mountain Water. 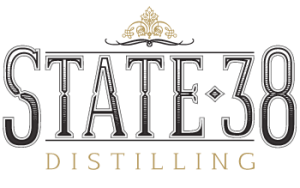 Based in beautiful Golden, Colorado, State 38 Distilling is a boutique distillery built by hand with extreme attention to detail celebrating the birth year of Colorado, 1876. Our award winning distillery is free to visit and we take pride in giving one of the industries longest and most detailed tours. Come see how this custom built distillery makes award winning agave based spirits, while enjoying two free tastings. We can’t wait to show you around. Hogback Distillery is a craft distillery producing whiskey and is based in Wheat Ridge. Owner, Founder and Scotsman, Graeme Wallace is drawing on over 20 years of experience of the Scotch whisky industry to create Scotch-style whisky in America. While the general method of making whiskey in Scotland and the US is the same, and despite the process being relatively straight forward, there are many differing factor that result in obtaining the flavors associated with Bourbon and with Scotch. These include among other things, the variety of grain, the type/shape of the stills, the points at which the spirit is cut, temperatures and times. However, it is believed that over 70% of the final flavor in a bottle of whiskey comes from the wooden barrels in which the spirit matures. This is the main attribute in differentiating the two traditional styles of whiskey and it is here where Hogback Distillery sets itself apart. Whether distilling, blending or finishing, the barrel plays a vital role. Balancing the mellowing and flavor contributing benefits that oak barrels provide, with the potential downside of over-oaking, we strive for subtlety, balance, complexity and smoothness. Created for sipping and savoring, although standing up well in cocktails, why not try any of our expressions and experience the difference. 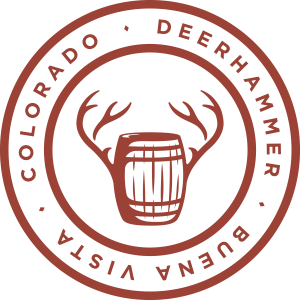 At Deerhammer, our distilling is steeped in whiskey tradition, but our methods are infused with curiosity and creativity. From our cornerstone single malt to new 4-grain bourbon and limited run single barrel spirits, we’re redefining the flavor—and future—of independent American whiskey. Journeyman Distillery is a family owned and operated business in Three Oaks, MI. Founded in 2010, we are one of the first 300 distilleries operating in the US post-prohibition as well as one of a select few distilleries in the world that produces a range of spirits that include estate-grown, certified organic, kosher and gluten-free spirits. 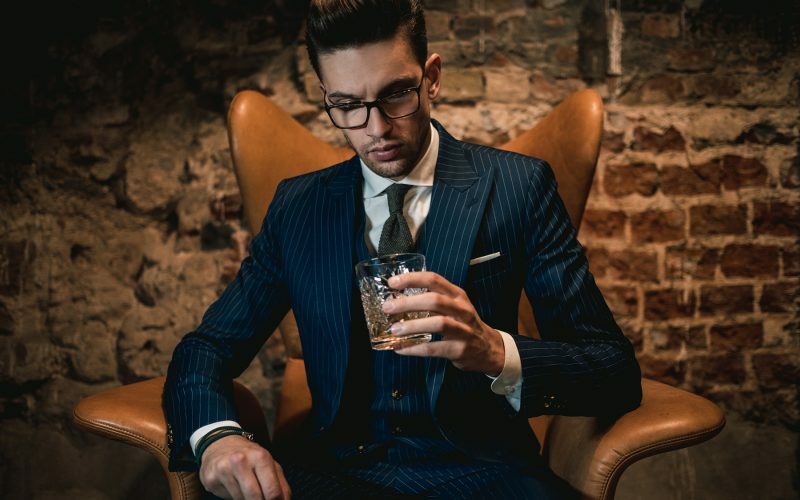 Located in the historic Featherbone Factory, we offer a unique environment to our guests to enjoy craft cocktails and locally sourced, high quality foods. Our focus has always been on whiskey, specifically Rye Whiskey and our flagship Last Feather Rye is one a select few wheated Rye whiskies on the market today. Situated in the beautiful foothills of the Rocky Mountains, Spirit Hounds Distillers is the realization of a desire to produce the highest-quality hand-crafter spirits possible. Spirit Hound embodies the enterprising character of the old west: we have a passion for fine spirits and a hardworking, can-do attitude. We strive to distill high quality beverages with a uniquely drinkable character. Our spirits are made with local Colorado ingredients such as freshly-picked juniper berries and Alamosa-grown barley. We built much of our own distillation equipment in order to capture all of the purity and flavor of our ingredients, making sure it gets into every bottle we sell- and every glass you drink. Treat yourself to a special Colorado mountain drinking experience with Spirit Hound. One hundred and five years after Prohibition forced the closure of one of the nation’s most prolific whiskey producers, two young descendants of its pioneering founder, Charles Nelson, have thrown open the doors to their revived Nelson’s Green Brier Distillery in Nashville, Tennessee. At its high-point in the late 1800s, Nelson’s Green Brier Distillery was known the world over, selling close to 380,000 gallons of Tennessee whiskey annually, more than ten times the production capacity of other known brands. Today, with distilling in their blood, Nelson brothers Andy and Charlie have launched the second wave of the historic family venture with their award-winning line of small-batch Belle Meade Bourbons, known for their spicy high-rye content and unique cask finishes. Belle Meade Bourbon was one of about 30 labels that Charles produced until the distillery’s closure when Tennessee adopted statewide Prohibition in 1909. With an earlier known reputation as a top quality product and a history all its own, Belle Meade Bourbon was a natural first release product for the brand’s revival. 2019 brings the much-anticipated re-launch of the original Nelson’s Green Brier Tennessee Whiskey, of which the original Nelson’s Green Brier Distillery was best known. 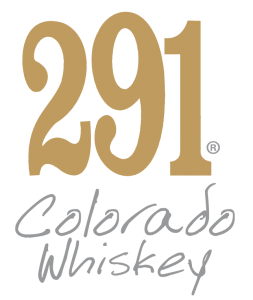 Distillery 291 is a small batch whiskey distillery nestled in the stunning foothills of the Rocky Mountains. 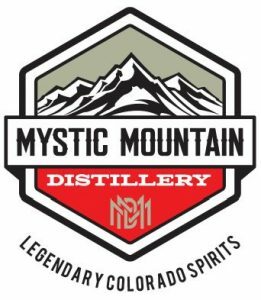 Located in Colorado Springs, the distillery sits in the shadows of Cheyenne Mountain and the majestic Pikes Peak which both serve as constant reminders of the founding vision of owner and distiller, Michael Myers, who aims to replicate the taste, smell and folklore of the Wild West — to make whiskey with the character of that unforgettable era. Myers is no stranger to whiskey or the West. He spent his youth in the heart of whiskey and horse country inspired by the spirited traditions of Georgia and Tennessee. Names like Daniels, Beam and Dickel were like family in that neck of the woods as were the tales, some of them tall, that accompanied them. Growing up on a rural, gentleman’s farm which today rests on 60 lush acres in the rolling hills of Tennessee, in between Jack Daniels and George Dickel, profoundly influenced his love of the West. Old-fashioned good guys versus bad guys and his love of classic, western movies deepened his passion for cowboys, horses, and saloons which he carried to New York and Los Angeles where he built a successful career photographing some of the world’s most famous faces. Still, with each snap of the shutter, this idea of creating some friends for Daniels, Beam and Dickel kept swirling through his head. Armed with the support of his friends, Myers finally followed his passion and moved his family west in 2004. After a bit of research, Myers fired up his first run on the still in September of 2011. Today, Distillery 291 is producing, from grain to bottle, seven distinctive whiskey products and one liqueur. The young distillery has earned national and international recognition for its spirits with unique character and flavor of a bygone era earning bushels of national and international awards. 291 embodies traditions of the past married with the boldness of the future: rugged, refined and, you bet, rebellious. Passion permeates every barrel, and we hope you agree!